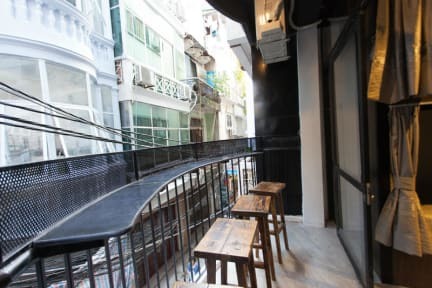 Luxury Backpackers i Hanoi, Vietnam : Boka nu! 1. Payment Method upon check in guest can pay by Credit Card or Cash. 2. FREE Cancellation Deadline: 3 Days before check in date. 3. Our property Check In by 14:00 and Check before 12:00 noon. 4. Our reception opening from 6.00 AM to 23:00 PM. Very polite and helpful stuff and nice and comfortable beds. 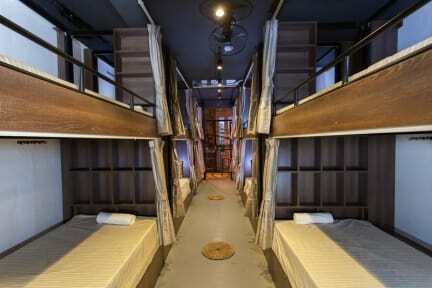 This is by far the best hostel I stayed at during my travels in Asia. The staff is superfriendly and really help you with all kinds of stuff. The room were outstanding. Everything was very clean! Every bed was like an own cubicle with curtains, shelf and a big locker. Also included breakfast which was totally fine for the price. We stayed first one night and then went to Halong bay over the second night, but were so satisfied so we decided to come back! I will definitely come back again! We had a great stay. Good breakfast, big beds with shelves by them and big lockers. Close to many cool things to see, and the staff was helpful! This hostel was nice and quiet. The staff was really helpful. James and My Nguyen were helping us with planning our trip both to Halong Bay and all the way down to Ho Chi Minh City. We liked staying here. Clean, nice beds, good storage, friendly staff, breakfast included. The wifi worked good sometimes, and other times it was not as good. The place you charge your phone did not work very well. Man bör nog tänka om med sitt namn. Visst det är fräscht och man har separata poddar. Men det är inte luxury från vad jag har testat liknande. Samt att toaletterna är små och få. Skit trevlig personal dock. Stayed for 2 nights. Friendly staff who healped us book a trip to Ha Long Bay and drived us to the AirPort for 150 000 dong. Breakfast included. Good location, we walked all over the town from the hostel!